A prototype of the CannaKorp marijuana vaporizer. 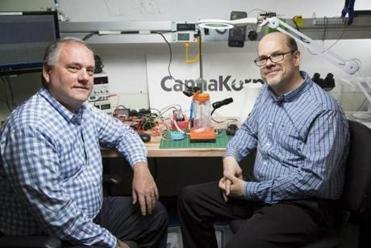 Investors have poured another $4.1 million into CannaKorp, a Stoneham startup developing marijuana vaporizers reminiscent of single-serving coffee machines, following the legalization of recreational use of the drug by Massachusetts and three other states in 2016. CannaKorp plans to spend the money on manufacturing, business partnerships, and marketing as it prepares to begin selling the device later this year. The company had previously raised $1.6 million in seed investment. CannaKorp is among a new wave of marijuana companies hoping to capitalize on looser state laws governing adult use of the plant, which remains illegal at the federal level. One of the most prominent examples in Massachusetts is Denver-based AmeriCann, which is leasing 53 acres near Freetown for what it says will be the state’s largest marijuana greenhouse. Some would-be businesses will have to wait for widespread pot use in the Commonwealth. Although voters approved a legalization system in November, lawmakers voted in late December to delay the opening of Massachusetts’ first retail marijuana shops for six months, until July 2018. CannaKorp won’t be much affected by that delay because it manufactures and sells a device, meant to appeal to a broader market than other pot vaporizers, rather than the drug itself. Even though the drug isn’t fully legal in Mass., companies are lining up for a potential expansion of the market. 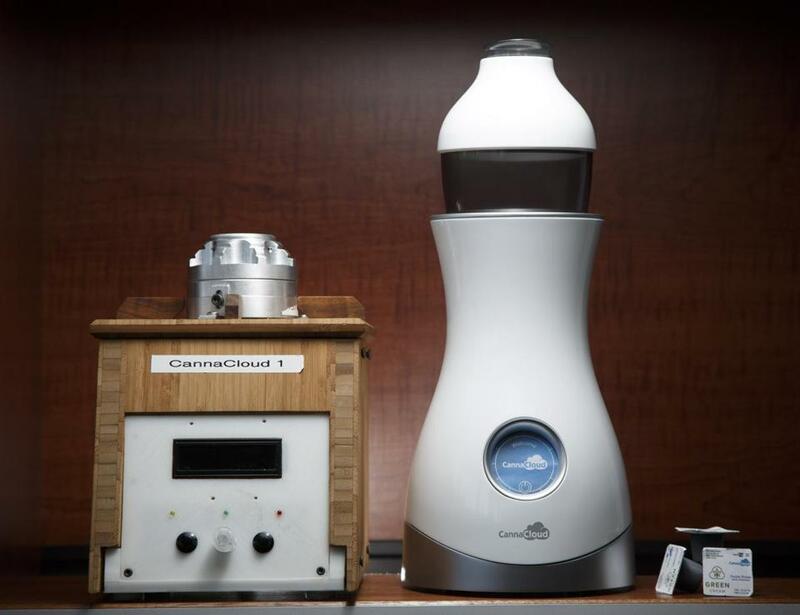 The sleek, white-plastic “CannaCloud” gadget heats marijuana enough to release its active compounds without getting hot enough to actually burn the plant matter and create smoke. Marijuana for the device comes in small, single-use “pods” that are meant to be filled by authorized growers in states where they can operate legally. The system’s resemblance to the popular Keurig instant coffee maker shouldn’t be a surprise: Several of CannaKorp’s key executives are veterans of Keurig Green Mountain. The new investment in CannaKorp was led by Singularity Capital Management, a private equity firm that invests in the cannabis industry. CannaKorp is its first investment. The startup stood out because of the mainstream engineering and business backgrounds of its executives and employees, said Brett Rentmeester, a Chicago-based managing director for Singularity. Rentmeester said Singularity was not troubled by the possibility the Trump administration could crack down on state marijuana legalization efforts in a departure from the relatively permissive attitude of President Obama’s Justice Department. Eight states now authorize adult use of marijuana, including California, Nevada, and Maine, which joined Massachusetts in passing laws last year.